Vijayawada city is going to get a facelift for coming Krishna Pushkaralu as Chief Minister N Chandrababu Naidu is keen on beautification of city and widening of several roads by removing encroachments. 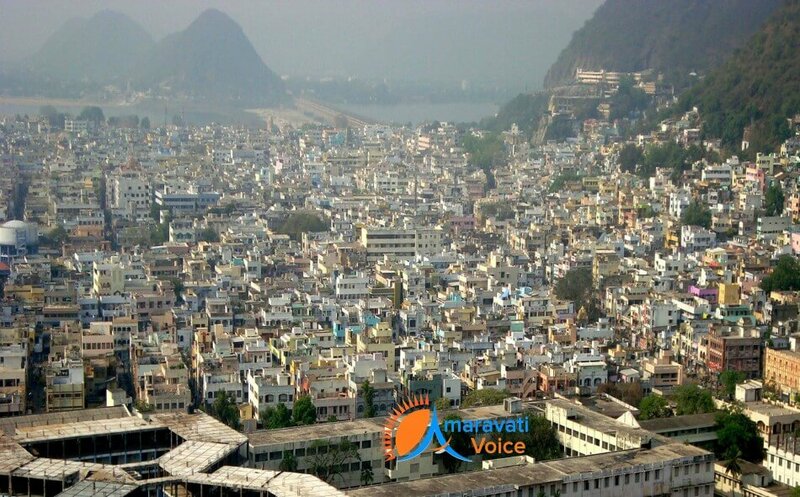 It is said that the CM asked the officials to identify the roads leading to Pushkar Ghats for beautification. CM also decided to develop the PWD Grounds as a city square by shifting the existing Rytu Bazaar and other buildings as it is only ground available in the city providing lung space. The government plans to develop greenery in the PWD Grounds for the benefit of people. As part of the city beautification drive. District Collector Babu A inspected the canal bund near Alankar theatre recently to shift the Rytu Bazaar from PWD Grounds and instructed officials to take up necessary measurements to shift the Rytu Bazaar. Meanwhile, people are expressing concern over increasing encroachments on Sambamurthy road on canal bund right from Alankar theatre to Kothavanthena. Several garages and workshops apart from coconut traders encroached the canal bund giving no scope for pedestrians to use the existing footpath. As a result, the people are forced to walk on the road margins giving scope for accidents. Though the municipal authorities allotted the lands on canal bunds for public purposes at some places, still some places are said to be in the possession of private persons. The increasing auto garages and workshops are blocking the free flow of traffic on the road, as they are using the road margins for parking of vehicles and carrying out repair works. A resident of Gandhinagar V Bhaskara Rao said that the corporation authorities should develop greenery and walking track along the canal bund by removing the encroachments as the city deprived of breathing space with increasing encroachments. He said that the government should take initiative to beautify the city on par with Rajahmundry, which was developed during Godavari Pushkaralu. The civic officials are also planning to beautify the BRTS road by developing greenery along the 3.8-km-long road. Most of the area is lying vacant alongside the BRTS road providing facility to develop greenery in a big way. Request you to provide the Information about to Book the place in Durga Ghat to give the devotional service to devotees. we are looking for some place allotment from the concerned Authority at Ghat.